Among the few highly developed areas of Delhi NCR, Bhiwadi located just 45 Kms from Gurgaon is undoubtedly one of the most promising destinations of Delhi. Some of the major real estate players have introduced their finest housing projects in this place looking at its massive progress. So what’s the biggest USP of this location? Well, the region’s industrial development, affordable price, well-planned infrastructure, excellent connectivity facility, job opportunity and proximity to Manesar, Gurgaon, and Bawal has led to its fast growth. The rapid development of this growing region has helped real estate players to plan out Good Township at this place. As compared to Delhi and Gurgaon, a cost of construction at this site is also just its half. It amply proves why the rate of flats with excellent amenities comes at an affordable price. Bhiwadi has witnessed an influx of an industrial workforce due to the establishment of major industries in this place. As a consequence; residential projects have also been designed to qualify the expectations of this workforce based at this location. So far there are about 2500 industries operating in and around Bhiwadi, which encompass the areas of greater Bhiwadi. Some of the very famous Blue Chip companies have their plants operating at this location. The industries based on this place comprise of various verticals of industry such as Automobile, steel, and electronics. The further growth of industries and scope of uplift job opportunities may in near future accelerate with the ongoing construction work of NH 8. It helps connect Greater Bhiwadi complexes with other complexes. Industrial progress in this region is majorly driven by its strategic location and added to it, the initiative was undertaken by RIICO to monitor the growth process of this area. The area is expected to progress to one level up with the total execution of Master Plan 2031 of Greater Bhiwadi, which includes Bhiwadi, Tapukara, and Khushkera in totality. The prime focus of this master plan is to enhance the existing Infrastructure like roads, transportation, water & sewage facility, education, and many other essential services. Bhiwadi is also a residential hub for the human resource working in its adjacent locations too, such as Manesar, Dharuhera, Chopanki, and Bawal. 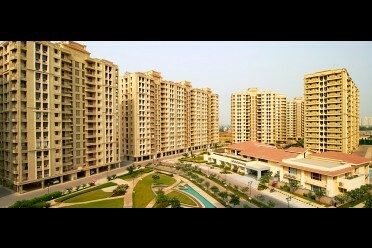 These areas do not offer a very cost-effective living facility that Bhiwadi perfectly qualified. 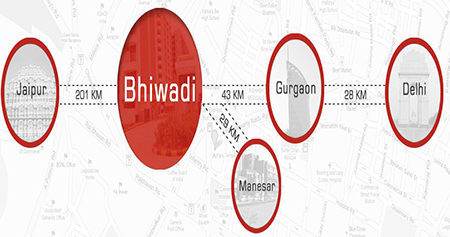 If the value for money is the primary consideration, Bhiwadi fits in the bracket perfect. Whether it is for the top level management professionals or the middle-class workforce, this tier-II city has a reserve for all. The residential projects are of high quality and one that accompanies modern amenities. Also, because the place is well-connected to other developed areas like Bawal, Chopanki, Manesar, Dharuhera, etc.. Hence, its biggest USP that is affordability can be benefited by the workforce of that location as well. Also, not to forget its place close by to the Delhi Metro Corridor and Japan Corridor Intersection boosts towards smart investment at this location.